Dana Moica is a talented Romanian photographer originally from Timisoara who currently lives in Dragsina. I met Dana when I was in Bucharest a couple of weeks ago. I was intrigued by her work which was on display in the exhibition of the Phos Bucharest Street Photography Days event. If I remember correctly she had 3 photos exhibited and they were all amazing, however one photo captured my attention the most and that is the one I have chosen to feature today, but more on that later. Dana is a photographer who loves people. She doesn’t believe in photographic classifications. She photographs whatever captures her attention but as it so happens, people are what attract her the most. She will photograph the subjects that interest her in the street, in the mountains, by the sea, during winter and during summer, without limiting herself to a particular style. That is what I like about her work. It is free and diverse. Peter Kool is one of my all time favourite contemporary street photographers. His style is surreal and he pays great attention to detail. What I like about his photographs is that you need to ‘decode’ them to get them. Some are easier to understand than others and can be analysed in split seconds, but others take a little bit more time and those are the ones that I enjoy look at the most. Peter was born on the 30th January in 1953 in the Netherlands. Since 1973 he has been living in Belgium where he still resides today. He studied photography at the Academy of Fine Arts at Sint-Niklaas Belgium from 1980 to 1985. Even though he studied photography he didn’t dedicate his life to it until a few years ago, but since then he hasn’t lost focus. 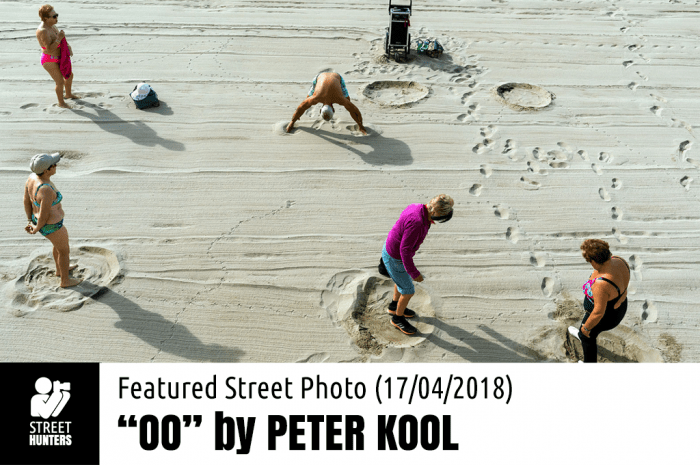 Peter Kool is a member of the iN-PUBLiC Street Photography collective, the first ever street photography collective. In the past we have featured other members of iN-PUBLiC such as Matt Stuart, Blake Andrews, Maciej Dakowicz, Mark Powell, Narelle Autio and Trent Parke. You should surely visit his bio page on In-Public and give it a read. Julie Hrudova is a Czech photographer from Prague who is currently based in Amsterdam, the Netherlands. Currently she works as a photo editor for RTL news. She has a BA in Media & Culture and a MA in Film & Photographic Studies. Her work has been published in various magazines and websites and exhibited all around the world. 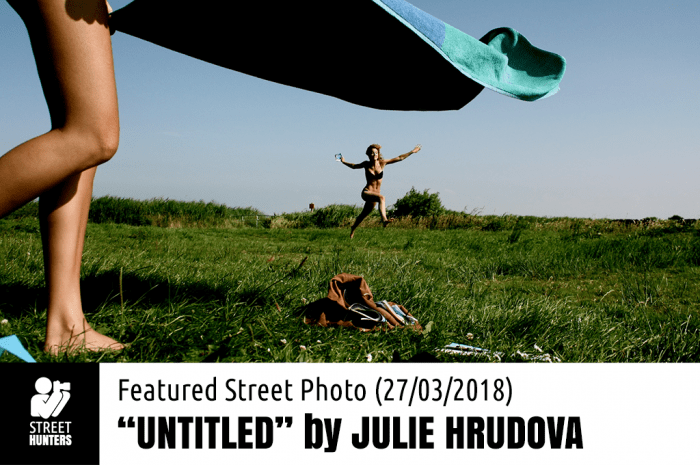 Julie has also won the 2017 EyeEm Street Photography award and has competed in quite a few competitions. In my opinion her work leans towards the surreal and as you all know, I really like surreal street photography so naturally her photographs grabbed my interest. Check out StreetRepeat for yourself and let us know what you think in the comments below. 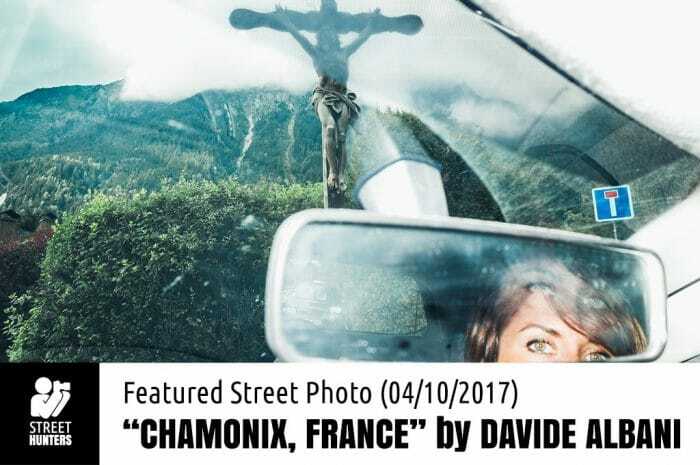 Davide Albani is a Street Photographer originally from beautiful Rome, Italy. He is currently based in Milan, Italy where he works as an engineer. He has been shooting since February 2014, but photography has been part of his life for as long as he remembers. Davide captures moments that can only be described as surreal and bizarre. He has an eye for the uncanny, the different, the unusual and knows how to use available and artificial light to his advantage. Davide’s talent has been recognised by many around the world. His work has been exhibited in his own country Italy and also across Europe and the United States. He has won awards at street photography festivals and contests. One of his greatest achievements as a photographer is founding the exciting Italian Street Photography collective EyeGoBananas. Artyt Lerdrakmongkol is an analogue Thai Street Photographer that is based in Bangkok. 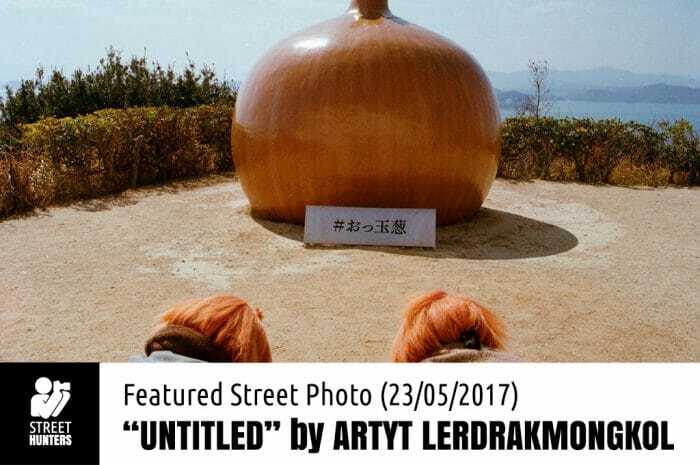 Besides shooting in the streets, Artyt also writes for the blog “Siam Street Nerds” about street photography and contemporary photography a website that he founded in 2015. He is also a member of the ‘Street Photo Thailand’ collective. Artyt’s love for film inspired him to open his own shop named “Husband & Wife“, a film photography & bookstore in 2014. Artyt’s Street Photography is surreal, just the way I like it and I am not the only one that has noticed his talent. Artyt has been interviewed already by the EyeEm.com website and Lomography Thailand and has been selected by theculturetrip.com as one of the Thai Photographers To Watch Out For in 2016! Dmitry Stepanenko is a Ukrainian Street Photographer from the city of Odessa. In 2010 he moved to the UK and found himself interested in street photography. Since then he has been shooting non stop. Now, 7 years later, Dmitry has proven to be an industrious person besides a talented street shooter. He is founder of the street photography collective called Momentum which he started in 2011 and is also a founding member of The Street Collective which began in 2013. 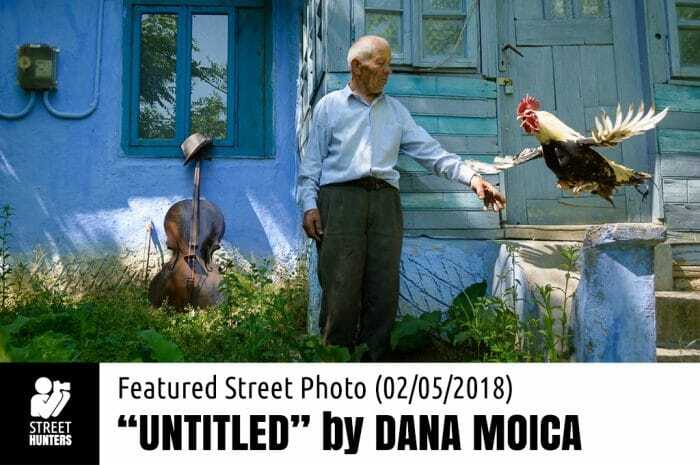 He has exhibited his work in Russia, Europe and the USA and has participated in many street photography contests as both a photographer and as a judge. Dmitry also teaches workshops together with other members of The Street Collective, mostly in London, UK. 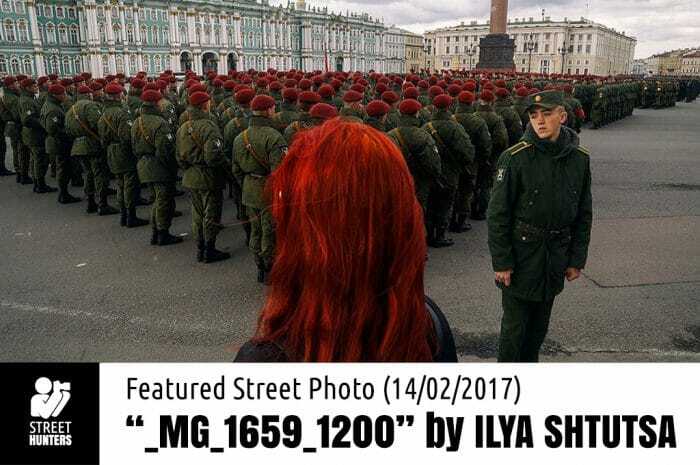 Ilya Shtutsa is a street photographer from the East side of Russia. As a child Ilya was interested in photography. He used to photograph his everyday life, document the people of his community and capture his surroundings up until the age of 18 when for some unknown reason he suddenly lost his interest in photography and stopped using a camera all together. After that point Ilya Shtutsa moved on with his life unaware that 20 years later the lure of photography would draw him back in, and this time for good! From the point Ilya decided to start using a camera again he has never stopped, and by the looks of it will not lose interest in photography again. Now, he is a proud member of the Observe collective and a recognised street photographer amongst the members of the street photography community. Forrest Walker, a.k.a F.D. Walker, a.k.a. Shooterfiles.com is an American Street Photographer from Portland, USA. Forrest is a talented and well travelled street photographer. When I say well travelled I mean it! His project is to travel and do street photography in 100 cities around the world. Besides shooting in all the cities he visits, he blogs about it too! Extensively! So, his blog is a very good resource if you are looking for tips concerning a city you might be interested in visiting to do Street Photography. So, Forrest is one of those people that not only shares his work with the world, but also shares his knowledge and experiences, giving back to the community valuable information for free that most of us would easily pay for. I for one understand the time and effort he puts into this project, not only because he is a personal friend of mine and I have an inside look into his adventures, but also because I know from first hand how hard it is to produce photos, travel and blog about it amongst other things. 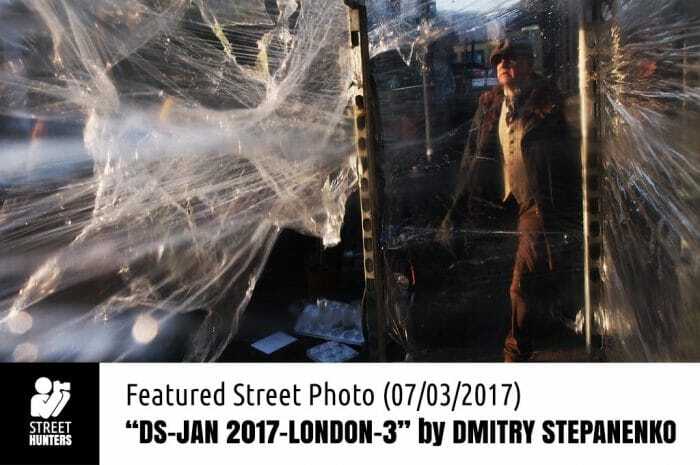 This time we are featuring a photo by one of my most favourite contemporary Street Photographers, the illustrious Dougie Wallace. 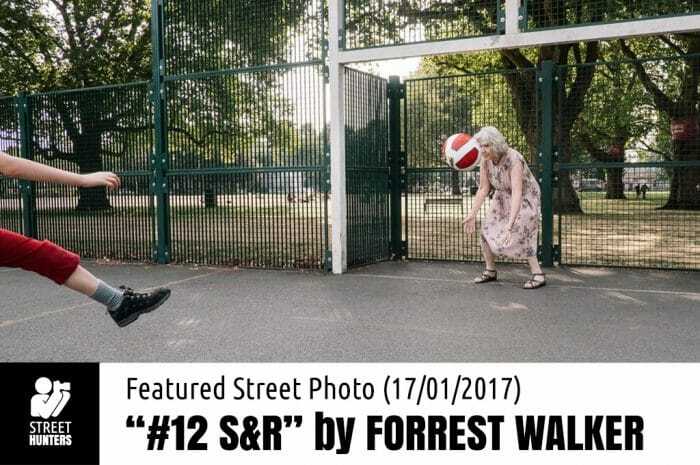 If you haven’t heard of Wallace, then you probably need to brush up on your contemporary street knowledge because this guy feels as if he is the natural evolution of Cohen, Gilden and Parr. He is a guru of Flash Street Photography. I find his technique just perfect. He uses the combination of his amazing artificial light tricks and ambient light sources and good composition skills to blast the living daylights out of the most unbelievably interesting characters you can imagine. When you look at Wallace’s work you feel that he has been everywhere and experienced everything and after each photo, you just want to see more and more and more! Dougie became famous for the series of photos he shot outside Harrods in London. In case you don’t know what Harrods is, Google it, but the quick version is it is a posh shopping centre where rich people do their shopping. And when I say rich, I mean super rich, like lords, sultans, actors, etc. So Dougie has managed to make a massive collection of portraits and street scenes starring these very interesting people using a massive flash to illuminate every single detail of their personas. Needless to say that Dougie Wallace’s work has been awarded, exhibited and published. He has published his work in books throughout the years which you can purchase by following the relevant links on his website. It has been a while since the previous Street Photo of the week. The reason for this is that I have been very busy with lots of things, such as interviews, workshops, video editing, preparing the Streethunters Local Guide list and more. So, I am borrowing a few lines from today’s post to tell you that due to my heavy schedule I can’t maintain “Street Photo of the week” on a weekly basis any more. I am sure that the regular followers of these posts have noticed that lately they have been coming in irregularly rather than once a week. So, I am officially renaming this weekly to “Featured Street Photo” and I will be posting it at least once a month to 4 times a month depending on my workload. Thanks! Kuba is a street photographer from Bielsko in Poland that is currently based in Munich in Germany. I found him in the Streethunters.net Readers Flickr group. He maintains a tumblr website and shares his work on Flickr too. I will provide you with the links to his work further below. 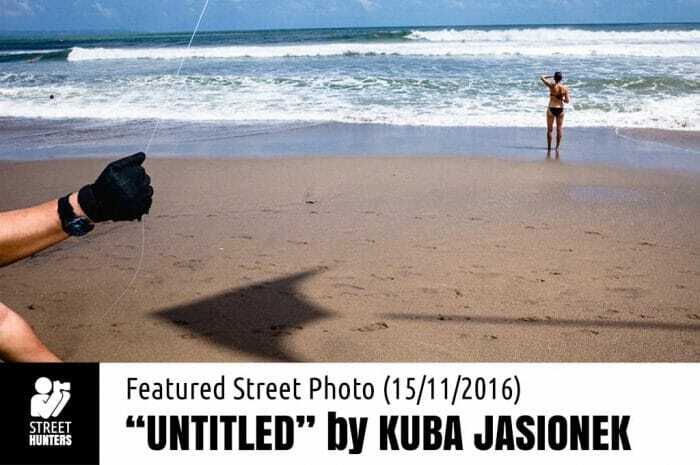 Through some research I did on the web I found out that Kuba has been dabbling with photography since 2012 and since 2013 he has been shooting street / documentary – chasing for the candid moment and searching for stories in unposed situations of everyday street life. Other than that, I couldn’t find anything else. So, Kuba if you are reading this man, please share some more info with us if you like. Kuba sent us the link to his personal website where you can read more about his work. Just visit www.kubajasionek.com for more info.